I will be the first to admit that I often intentionally prolong conversations with customers, while on the sales floor, because I really would rather avoid my work and gather material for this blog . Lucky for me, my lack of ambition seems to be paying off. Halfway through putting up sales signs for the week, I was approached by what appeared to be a normal, slightly balding 40-something woman out shopping and avoiding the summer heat. She stopped me as I was entering the body care aisle and asked me about a particular body wash. Lucky for my customers, I am a shopaholic and have pretty much tried every product in my store (sans the Fleet Enemas and hemorrhoid cream) so I was able to give her an accurate description of a body wash that she was considering. She then decided to slowly stroll by the other body washes and ask my opinion of those. Looking for a way to avoid my work, I gladly volunteered my superb knowledge of overly-priced bath products. She was everything I wanted in a customer: kind, soft spoken, a good listener, not overly demanding and not smelling of urine or that horrible bath powder stuff that elderly people use in place of real showers. Despite what appeared to be a perfect customer, I found myself once again being tricked by my failure to recognize crazy even if it’s right under my nose–a trait that allows me to become attracted to paranoid, neurotic or slightly mentally challenged men without fail. While I was talking to this woman, you see, I noticed out of the corner of my eye that she was delicately and subtly stroking something that was folded up and resting on her right arm. Was it a small dog? A baby? A rabbit foot for good luck? Nope. It was a blanket. 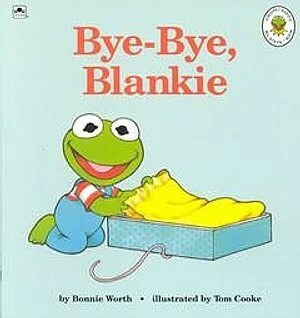 The sequal to this book is called "Hello, Snuggie!" In all honesty, the woman was very nice and most likely had an anxiety problem that I can only hope is lessened by her blanket-stroking technique. It went down, however, in the list of the craziest and most random things I have ever seen customers do. If anything, I bet she totally invented the first Invisibility Cloak and she’s been shoplifting in our store, snatching up every body wash, for years. We may never know–that is a secret to be kept between her and that special cotton/poly blend of fibers.